Some days, it’s just better to drive a little further down Kebler Pass, past Lake Irwin, the Lily Lake hiking trail, and Ohio Pass to Lost Lake. Summer’s in Crested Butte can get busy, the lakes, trails, and camping areas surrounding the town are crowded. But just up the road, at Lost Lake Campground you can get away from it all. Hiking trails, hidden lakes, and nice camping facilities. Saddled between the West Elk and Ragged Wildernesses at 9,600 foot elevation, the Lost Lake Campground offers visitors impressive views of the surrounding East and West Beckwith Peaks and the Anthracites, fun hiking, and often uncrowded paddling. Lost Lake has a wild brook trout fishery and is stocked by the Colorado Division of Parks and Wildlife every other year with small (<2 inch) fingerling Colorado River cutthroat trout. This lake gives anglers an opportunity to catch native cutthroat and brookies in a scenic setting. Dollar Lake, a short hike from the campground is managed as a wild trout fishery. Few people make the hike to this tucked away lake, and you can be rewarded with fun fishing and paddling in a secluded spot. You have access to Beckwith Pass Trail (#842) and the Three Lakes trail (#843) from the parking area at Lost Lake Campground, The Three Lakes Trail is a 3 mile hike starting from the campground with opportunities to view beautiful wildflowers, a waterfall, and 3 pristine lakes. 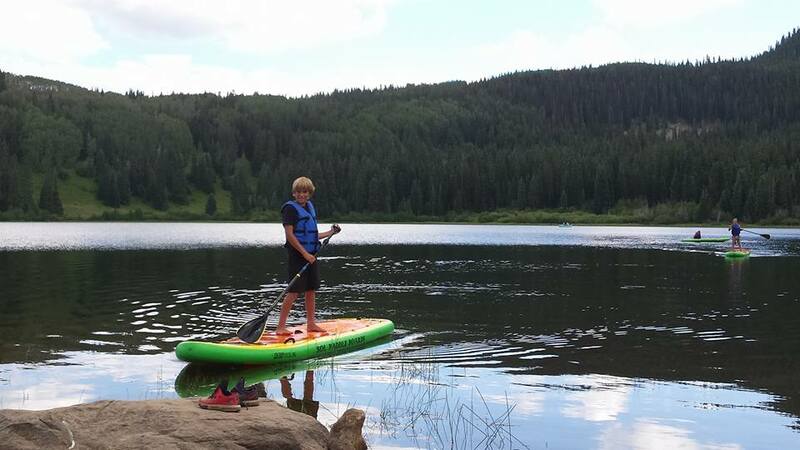 Make sure to pack a picnic lunch, grab some paddleboards or floating tubes from Wheelies and Waves, and head up to Lost Lake for a full day of family fun the next time you’re in Crested Butte. From Crested Butte go 16miles west of town on County Road 12. Go south on 706 to the campground. 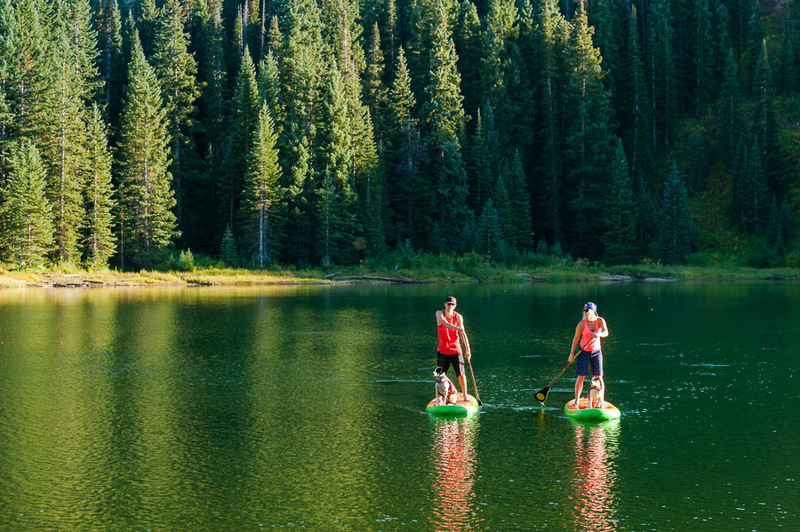 Learn the biggest differences between inflatable SUP’s and hard paddleboards.